Many years ago, the late Joseph Jozwiak, a director of the IPA, made a suggestion that an award be bestowed upon an individual or group of Individuals who have made a significant contribution or endeavor to enhance the promotion of polka music. After much discussion, the International Polka Association (IPA) voted to honor those worthy individuals with the establishment of the Special Achievement Award. 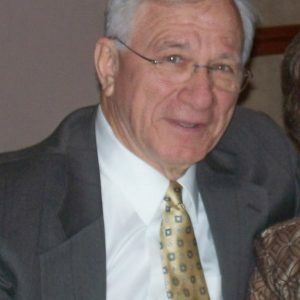 To pay tribute to Joe Jozwiak, following his passing, this award was renamed the Joe Jozwiak Special Achievement Award. The award is given to recognize polka personalities who might not otherwise be acknowledged for their dauntless contributions. Nominees can include DJs, polka writers, promoters, ballroom operators, etc. ; bands and musicians are excluded. We would like to congratulate this year’s recipient of the Joe Jozwiak Special Achievement Award, Norb Ciesla. If you are at a polka dance and a guy with a video camera tells you he is a priest – you are probably talking to Norb Ciesla (aka Father Norb) from Orland Park, IL, President of the Let’s Polka USA. Club. Norb is married to Lorraine, his wife for over 57 years. Polka music is a passion for Norb. It is not unusual for a dance you are at today, to be on YouTube that night for your viewing and listening pleasure. Today Norb has posted over 10,300 videos and will exceed 5,000,000 hits by the end of January. Norb was presented the Joe Jozwiak Special Achievement Award at the IPA Chicago Festival of Polka Bands. Congratulations to Norb, and thank you for your contributions to polka music.